Results Dietetics is owned and operated by Ingrid Anderson who is a Registered Dietitian Nutritionist (RDN). At Results Dietetics our mission is to provide weight loss strategies that are designed specifically for you. Results Dietetics is a service like no other. Not only will you receive a science-based, personalized plan, but you will also have daily interactions with your coach. Your coach will provide daily feedback, motivation, and encouragement while being available for any questions or concerns as you have them. Results Dietetics was created to coach and educate anyone with a health or fitness goal. You can expect to experience a comprehensive approach to your health and nutrition which will leave you feeling successful, healthy, and strong. Ingrid Anderson is a Registered Dietitian Nutritionist (RDN) and has experience in both inpatient clinical nutrition as well as outpatient counseling. Her inspiration for becoming an RDN originated from her love of fitness and her own struggles with weight management. She was diagnosed with an autoimmune disease, Hashimoto's Disease, that causes many symptoms including fatigue, weight gain, and difficulty losing weight. By focusing her nutrition on metabolism optimization, Ingrid was able to attain her fitness goals and is now living symptom-free. 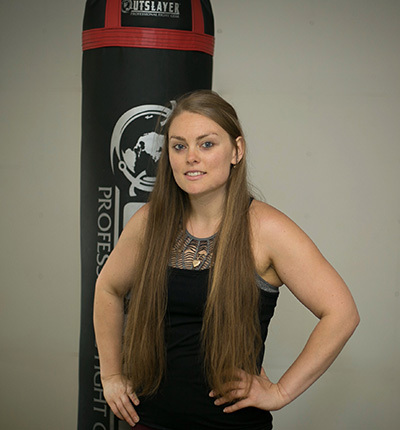 She also loves to exercise and is an amateur powerlifter who utilizes her knowledge of nutrition to enhance her training performance. Ingrid takes a whole food approach to nutrition and wellness and believes that everyone should have the opportunity to reach their health and fitness goals. I can coach you from wherever you are! Who is Results Dietetics for? This subscription is for anyone who is tired of giving up on their fitness goals and is ready to finally succeed. Whether you want to look better, are trying to improve your fertility, decrease risk of heart disease or diabetes, or struggle with GI issues, I am there to make sure that you will be successful. Ask about my student and occupational discounts! Each one of my clients receive a tailored plan that is specific to their individual needs and goals. I do not just provide a calorie restriction or macro goals. Weight loss is much more than just being in a caloric deficit. I am looking at your whole “health” picture (Past medical history, current GI health, endocrine health, autoimmune issues, relationship with food, etc). I work closely with each of my clients to provide a plan that is achievable while providing daily nutrition coaching and emotional support. One of the most common reasons why people fail weight loss programs is lack of accountability. I will be there with you every step of the way to support your success. Do you limit the amount of clients you work with? Yes. My mission is to be attentive and to provide the best nutrition coaching available. In order to do that I need to keep my client base exclusive. I am currently accepting new clients- so act fast if you want to work with me! Registered Dietitian Nutritionists (RDNs) are nutrition experts who have met the educational requirements that have been approved by the Academy of Nutrition and Dietetics’ Accreditation Council for Education in Nutrition and Dietetics. RDNs are required to obtain a Bachelor's Degree in Nutrition Science where in addition to Nutrition focused studies, they also complete many of the same coursework as pre-med and nursing students such as organic and biochemistry, anatomy & physiology and microbiology. Post graduation, a 10-month internship is required alongside additional coursework. Only after passing a board exam that proves competency are the letters “RDN” finally earned. RDNs take pride in their ability to navigate the science and deliver practical solutions that promote healthy relationships with food and lasting lifestyle changes. What kind of nutrition information do you provide? Again, it depends on the client. Nutrition is so specific to each person which is why having a nutrition coach who is also an RDN is a great idea! All new clients will have an initial “meeting” with me (via phone/video chat) where we will review your diet, lifestyle, past/current medical history, and initial questions/concerns you might have. We will also set your first goals together. This process usually takes about 45-60 minutes. After this initial meeting, you will keep a food and lifestyle journal via a mobile app/website. See “What is included in your monthly subscription” for more info. It depends on the day. I often interact with clients as early as 6 am and as late as 11 pm. What is included in your monthly subscription? I will interact with you through Healthie (mobile app & website). For the extent of your subscription you will have the ability to ask questions, receive daily input on your nutrition, and schedule one phone/video chat per month as needed. Always consult with your physician prior to starting a new diet or exercise plan. Especially if you have an underlying disease or condition such as heart disease, diabetes, obesity or if you smoke. Information or recommendations provided in blog articles, during verbal sessions or electronic communication are not to be followed in place of medical advice. Do not disregard, avoid, or delay seeking medical attention due to any information or perceived information provided on this website or direct communication (verbal or electronic). I do not guarantee weight loss or fitness results. Results vary from person to person and Ingrid Anderson, Results Dietetics or anyone associated with Results Dietetics is not to be held liable for the absence or lack of results. Furthermore, there is a risk of injury when engaging in any fitness or nutrition program. Results Dietetics, nor Ingrid Anderson, will be held liable for any damage or injury that occur in relation to information provided or gleaned from this website or coaching sessions (verbal or electronic). Research development may occur that nullifies information provided on this website. I strive to provide updated and current information but can not guarantee that all information provided on this website includes recent findings.